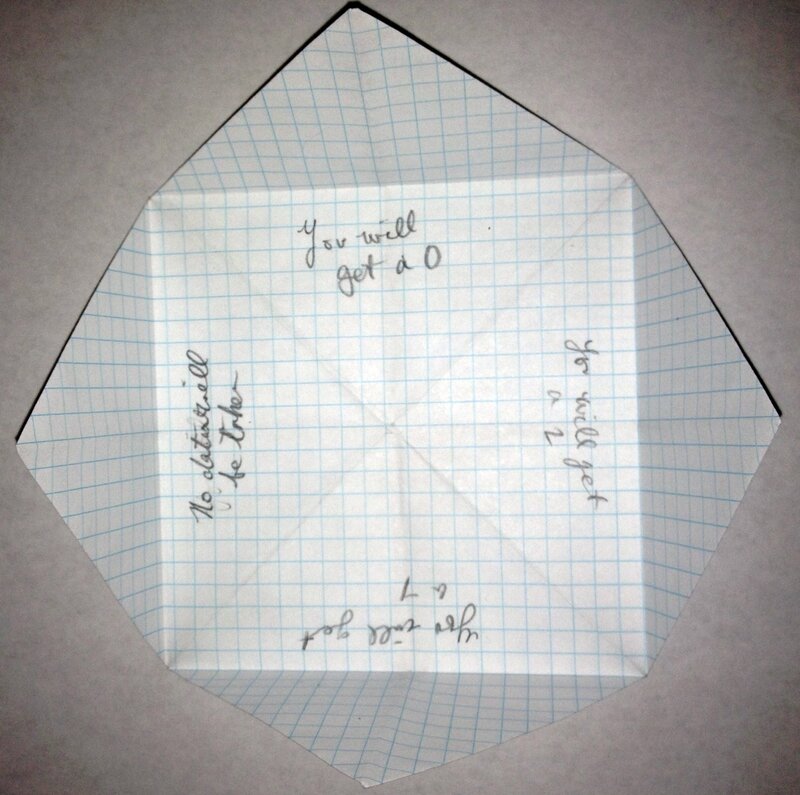 SBG Cootie Catcher – Physics! Blog! 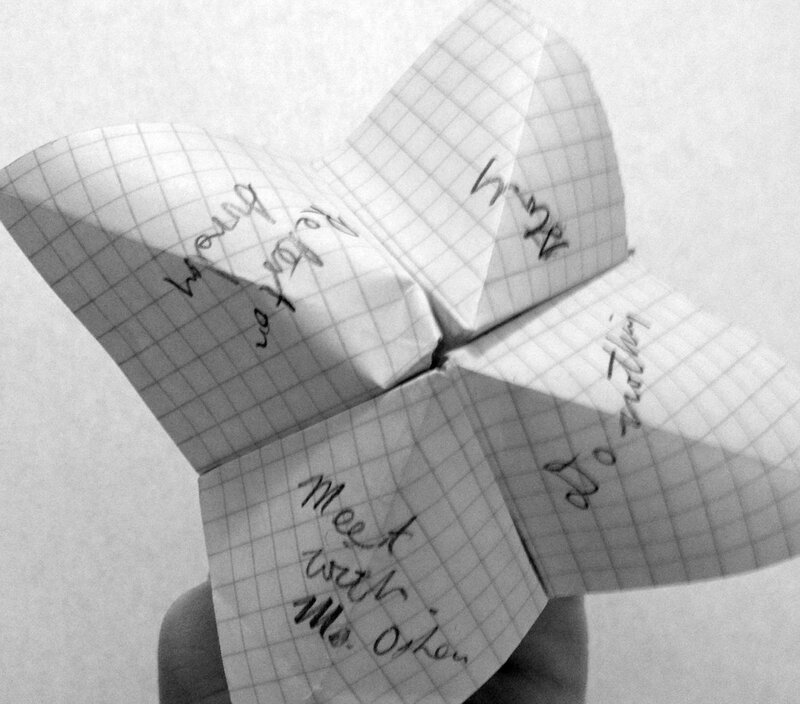 Found in the physics classroom this spring: one standards-based grading focused cootie catcher (aka fortune teller, aka a lot of other names, I’m sure—check out the Wikipedia article about these things if you haven’t seen them before). The outside choices: Meet with Ms. O’Shea, Do nothing, Study, Retest on Sunday. 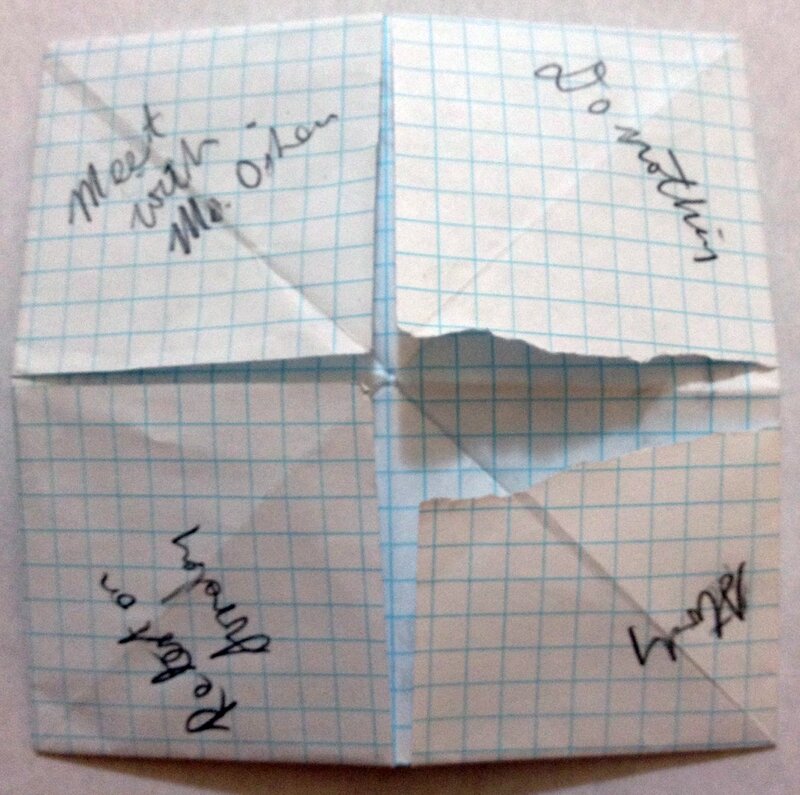 The middle layer was blank (I think the author ran out time to think of what to put as the second round of options). The inside results: You will get a 0, You will get a 1, You will get a 2, No data will be taken.